The Daily Record quoted Cambridge University’s Peter Walsh, a biological anthropologist and ebola expert: “It’s possible someone infected will fly to Heathrow having infected other people sitting next to them or by using the toilet. An article in The Huffington Post describes a cross-cultural study of schizophrenia, published in the British Journal of Psychiatry by Tanya Luhrmann. Luhrmann, professor of cultural anthropology at Stanford University, has been studying schizophrenia since the early 1990s. In her latest project, she studied how the cultural perception of the mental condition affects patient outcomes in three cities: Accra, Ghana; Chennai, India; and San Mateo, California. She interviewed 12 women and eight men in Accra, nine women and 11 men in Chennai, and 10 women and 10 men in San Mateo. Her research in India and Ghana reveals that hallucinations and voices are not always considered a problem. More than half of her research participants in India described the voices they heard as those of family members or ancestors. The voices were perceived as guides instead of threats. One Hindu woman in Chennai claimed to hear messages from god and said she was also feeling vibrations. Had the woman been born in San Mateo, she likely would have been diagnosed with schizophrenia. The famous fishing nets in Kochi harbor as a large tourist boat arrives. 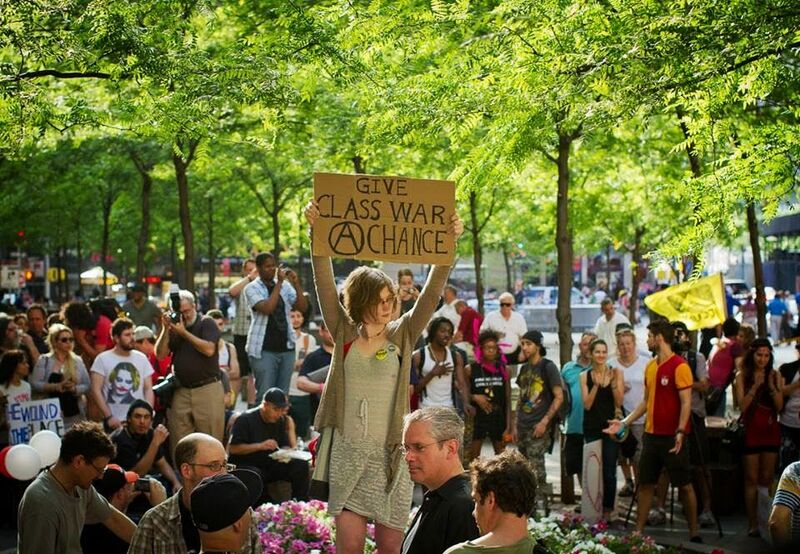 As a leader in “Tech Ops” for Occupy, she created the @OccupyWallSt Twitter account and OccupyWallSt.org website. In February 2014 she made headlines by unexpectedly reactivating these dormant assets and changing all the passwords on them, hijacking them as a platform for her to broadcast her personal grievances. She blasted LSE anthropology professor David Graeber for stealing credit for Occupy and she accused the Occupy movement as a whole of emotionally abusing her for the past three years and of being transphobic (Tunney is transgender). …and become a farmer and farm marketer. Oscar Vizarros is a member of a multi-generation farm family in the Buffalo region but never planned on going back to the farm after earning his degree in anthropology at Michigan State University. He is in charge of the farm’s Community Supported Agriculture (GSA) with his fiancée, Heather Nedroscik. They also grow the vegetables that are sold at market and are used for private events. Julius and Augusta Becker founded Becker Farms in 1894. Becker Farms now includes Vizcarra Vineyards founded in 2004. Neolithic dwelling at Skara Brae, Orkney. According to the Stornoway Gazette (Scotland), the University of the Highlands and Islands has announced the establishment of its new Archaeology Institute. Located in the heart the rich and diverse archaeological heritage of the region, the Institute aims to advance the understanding of the historic environment through the creation, interpretation and dissemination of archaeological knowledge. The Institute is growing from the original Archaeology Department at Orkney College. The commercial and applied research unit of the Institute, the Orkney Research Centre for Archaeology (ORCA), provides professional archaeological and heritage services to northern Scotland. Institute staff believe the combination of expertise in both consultancy and research will give students an unparalleled experience of practical and applied archaeology and help to facilitate world class research. The Highlands and Islands has a rich and diverse archaeological heritage from globally recognized Neolithic stone settlements, tombs and stone circles; Iron Age brochs, Pictish and Viking settlements and burials to historical archaeology from events such as the Clearances and the First and Second World Wars. The Institute carries out internationally significant research in the Highlands and Islands region and its staff also work much further afield too with current research projects taking place in Easter Island, Nepal and Tanzania. An article in The Huffington Post discussed findings by Laura Buck and Chris Stringer of the Earth Sciences Department of the Natural History Museum in London, published in the Quaternary Science Review that Neanderthals gave considerable importance to vegetable foods and may have eaten some plants for health purposes. Their dental calculus analysis is presenting evidence of the importance of vegetable foods, and evidence of the regular consumption of cooked plants, and heat-cracked grains among early humans. Many calculus studies of Neanderthals demonstrate low levels of meat consumption. These findings challenge the stereotype of Neanderthals as dependent on meat-eating.